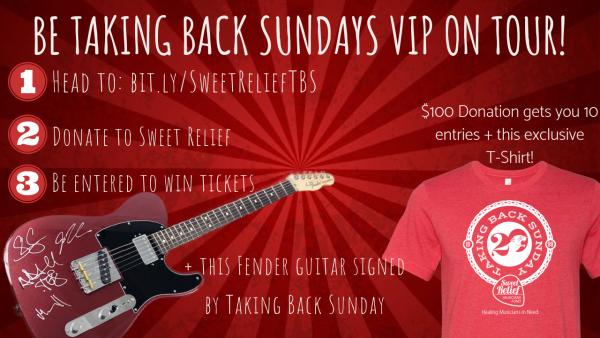 We’re excited to offer up Vip Tickets and our friends at Fender jumped in in a big way to also offer up a grand prize of an amazing Fender Prize Pack all to benefit the Sweet Relief Musicians Fund. This benefits musicians in need for health care and other essential things. For every small $10 donation you’ll be entered into a raffle for some of these great prizes! Get all of the details and enter HERE!